Precious metal prices started off 2017 with a bang, amid robust safe-haven buying and falling U.S. dollar. In January, gold prices rose over 5% and silver prices rushed up over 10%. Meanwhile, despite topping the 20,000 level in January, the Dow ended the month virtually flat as rising political uncertainty and trade worries tripped up the so-called Trump rally. Today more and more analysts are jumping on the gold bandwagon in 2017 for very good reasons. 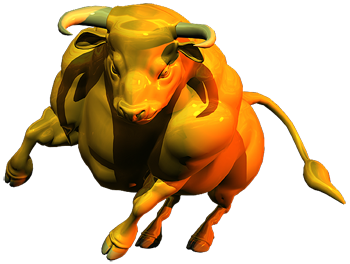 James Steel, precious metal analyst at HSBC said that investor enthusiasm, which propelled stocks, has recently been tempered and views this as very bullish for gold. George Gero, managing director of RBC says bargain hunters are turning to gold in the new year. He said last Friday that gold inflows over the last 10 weeks from private investors topped $1.3 billion - the largest weekly gain in five months. Troy Asset Management's flagship fund, Trojan Fund, owns $313 million in gold and believes Trump's policies are very positive for gold. He points out that gold held it's own in 2016, with a 8.6% return in dollar terms and 29.7% return in sterling terms. The Trojan fund has returned 86% over the past decade. They understand the markets. There are many other bullish factors for gold just starting to gain momentum in 2017. * Trump's plan to abolish Dodd-Frank and the Consumer Protection Act, which could set off the law of unintended consequences. * Today we are still healing from the Great Recession of 2008, and banks are in worse shape and far more leveraged now than in 2006-2008. The next banking crisis could be explosive for gold, and devastating to the dollar and future inflation. * President Trump has said he believes the dollar is too strong and needs to weaken. * Housing prices are increasing, wages are starting to rise, and medical costs are exploding so we can be assured consumer price inflation lay ahead. While American investors are feeling a sense of revitalization, this is not the case in Europe, India and many other parts of the world. Americans tend to think of gold only in dollar terms, however the world views gold through the lens of their own national currency. In the case of the Eurozone, you can be assured EU citizens will not stand by and idly watch their currency depreciate without taking steps to mitigate the loss. For thousands of years, gold has always been seen as "money" in Europe and it still is. In India, restrictions on large currency notes have pushed Indians to hold more physical gold to protect against the government's push for a cashless society. The leaders use the excuse of fighting tax evasion and terrorism funding, but Indians are rejecting being forced onto a credit-only based system. There are dozens of additional reasons why buying gold near $1,200 an ounce is THE BARGAIN OF THE CENTURY. It could be the last chance to buy low-cost wealth insurance as protection against a fiat currency-based world. Keep in mind, NO fiat based currency has ever survived over the long-term. We Americans tend to forget that we have only been on fiat currency system for less than one hundred years. Prior to that the gold standard protected the dollar's value. History always repeats itself. It's just a question of how many people have learned from history, and how many will be damaged by ignoring history. Better to be a year early than one minute too late. For additional insight on the the gold bull market of 2017, please request a free copy of our 2017 Gold Report.